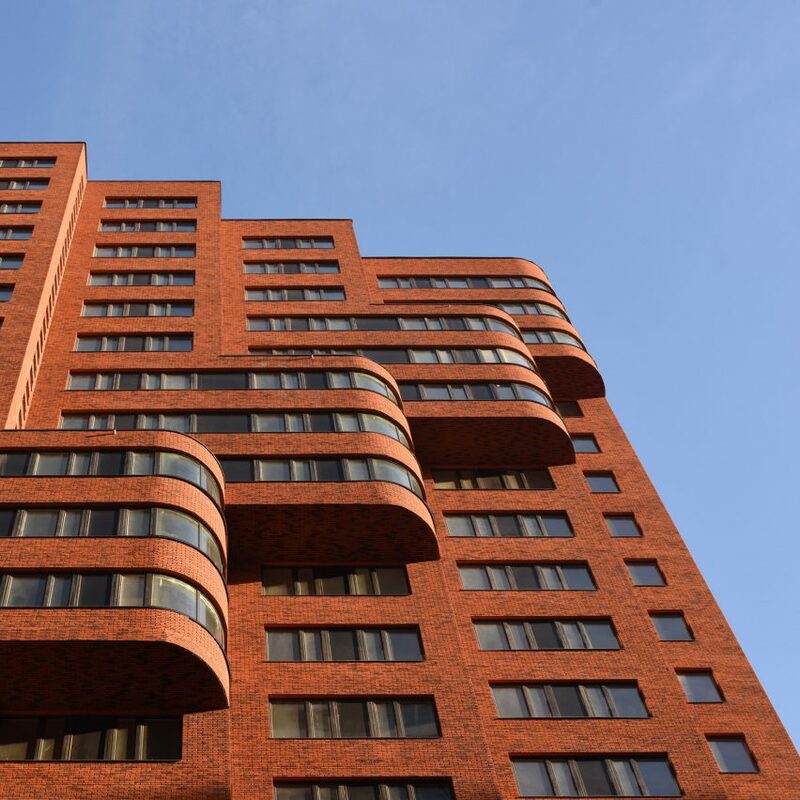 Dutch House is a pair of brick apartment blocks in Moscow designed by Rotterdam studio Paul de Vroom Architecten + Sputnik to directly reference the architecture of the Amsterdam School. The 19- and 20-storey towers, which contain 360 apartments, were designed to stand out from the blocks that surround them in western Moscow’s District 75. To do this the architecture studio looked to the style of the Amsterdam School, developed in the early-1900s. 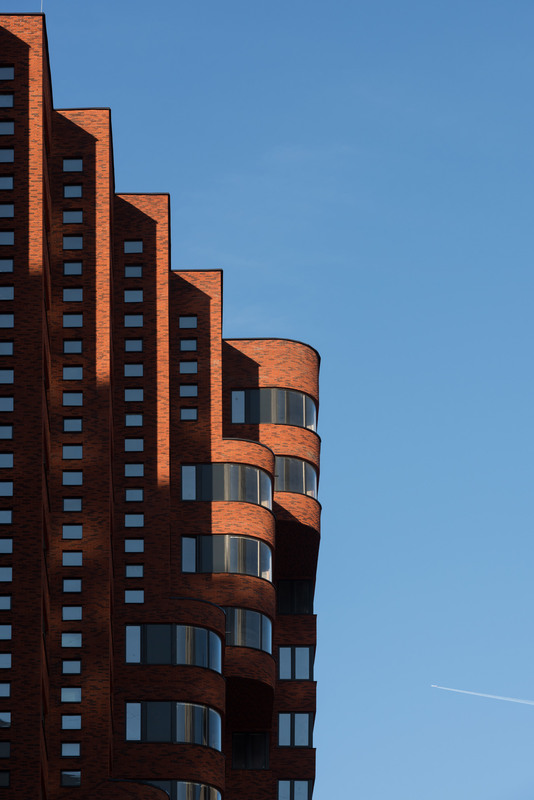 “Our client Krost asked specifically for Dutch architecture that would reference the rich cultural history of the Netherlands,” Paul de Vroom Architecten + Sputnik told Dezeen. The pair of matching towers each have stepped facades with large curved bay-windows running diagonally up them that take their form from the Dutch style. “The formal language of the Amsterdam School emphasises creative use of materials, refined architectural details and a precise way of construction,” continued the studio. The form of the towers was also determined by Russia’s building codes that require each room to receive at least two hours of sunlight every day, and the site, which is surrounded by high-rises. The stepped-shaped plan means that each apartment has windows with two orientations, making it easier to meet this requirement on the overshadowed site. 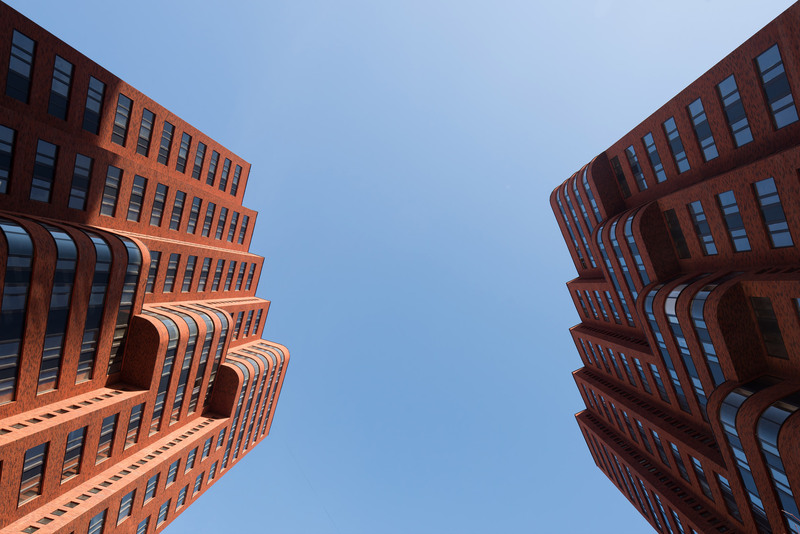 The pair of residential towers are clad in red brick made in the Netherlands. “For the Dutch House we used a Dutch handform brick that is produced by Wienerberger in the south of Holland,” said the studio. 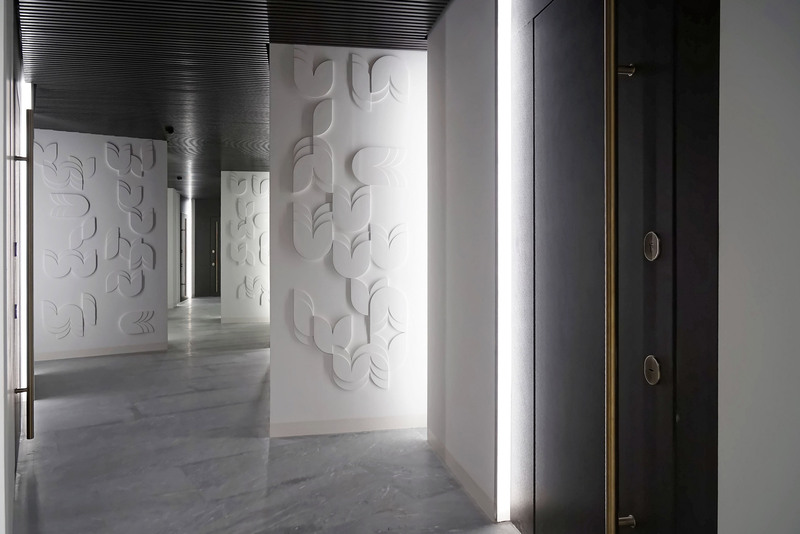 Internally the corridors and lobbies are decorated with patterned natural-stone walls, dark wooden doors and ceilings, and bronze door handles. Paul de Vroom Architecten + Sputnik was formed in 2014 when the studios of Paul de Vroom and Sputnik joined to collaborate on projects. 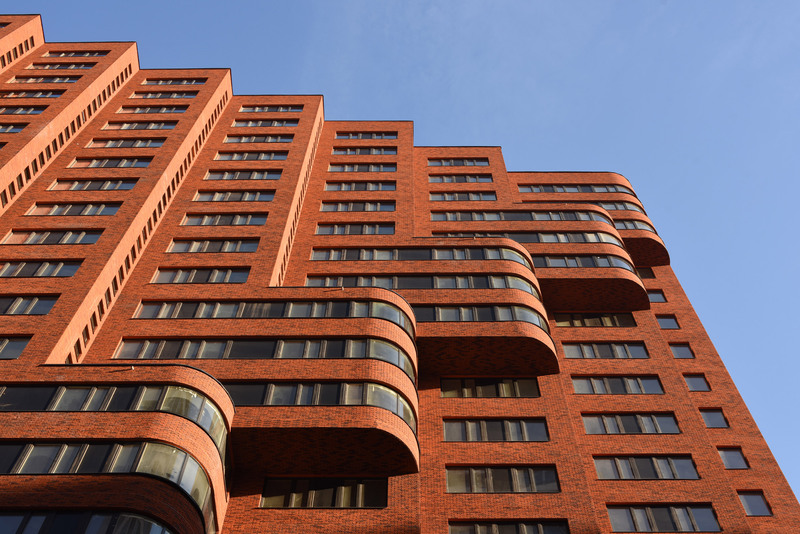 Dutch House is part of Moscow’s continued development. Other residential projects happening in the city include a constructivist-inspired tower block designed by MVRDV and a “horizontal skyscraper” by Herzog & de Meuron. 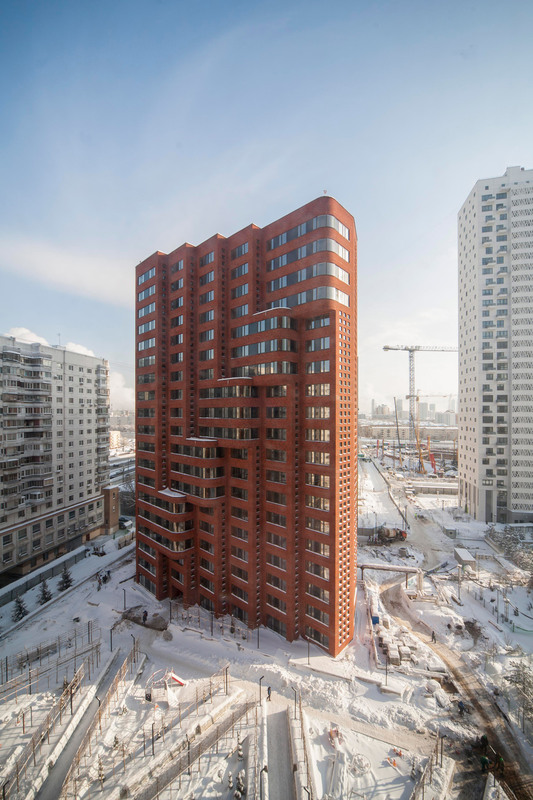 The post Paul de Vroom Architecten + Sputnik completes pair of Dutch towers in Moscow appeared first on Dezeen.